This summer has been very impressive for El and I finishing projects. We've planted a new garden on the south side of the house, finished a deck, bought new furniture, and deep cleaned almost the whole house. Next projects include cleaning the rest of the house, unpacking the few boxes, and making tomato sauce. Our more long term projects include replacing some windows, remodeling the kitchen/dining room, and redoing the front and north side (of the house) landscaping. For your photo pleasure, I included a picture of the south side of our house. 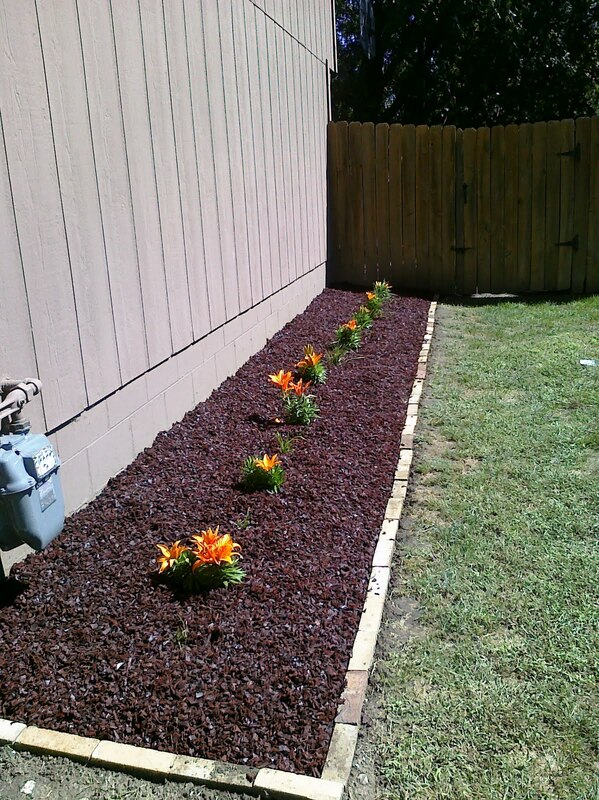 We used recycled tire mulch instead of traditional wood mulch. This mulch should last up to 12 years, contrasts the house really well, and makes the flowers pop!